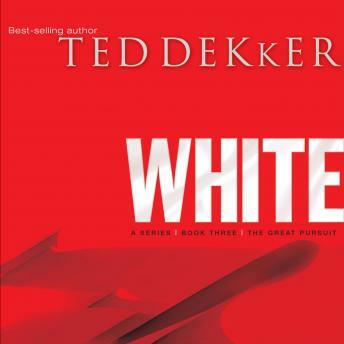 In this installment of Ted Dekker's groundbreaking Circle Series, Thomas Hunter has only days to survive two separate realms of danger, deceit, and destruction. The fate of both worlds hinges on his unique ability to shift realities through his dreams. In one world, a lethal virus threatens to destroy all life as scientists and governments scramble to find an antidote. In the other, a forbidden love could forever destroy the ragtag resistance known as The Circle. Thomas can bridge both worlds, but he is quickly realizing that he may be able to save neither. In the surprising continuation of the Circle Series, Thomas must find a way to rewrite history as he navigates a whirlwind of emotions and events surrounding a pending apocalypse. Life. Death. Love. Nothing is as it seems. Yet all will forever be transformed by the decisions of one man in the final hours of the Great Pursuit.